Bachelor in Paradise is known to bring men and women together in Mexico to find true love. The ABC show combination of cast members from The Bachelor and The Bachelorette. Bachelor in Paradise is due to return to television for a fifth season this summer WARNING: This piece contains Bachelor in Paradise and Bachelorette spoilers!! The Bachelor Nation is back to the screen. Bachelor Nation will be back in paradise before you know it. ABC announced an official premiere date for Bachelor in Paradise Season five on Wednesday. Although the network hasn’t confirmed which Bachelor and Bachelorette castoffs will be looking for love in the Bachelor in Paradise mansion this summer. When does Bachelor in Paradise start? Bachelor in Paradise Season five premieres on Tuesday, August 7, 2018. Sneaky fans obtained photos of Bachelor in Paradise cast members basking in the sun and romance South of the Border. According to Reality Steve, the Bachelor in Paradise cast left for Mexico the first weekend in June. They began filming the following week. Fans spotted cast members and producers lounging poolside. The BIP cast will consist mostly of Bachelor competitors from Arie Luyendyk Jr’s season and men sent home from The Bachelorette Season 14. Fans have already started speculating about which couples will form in paradise. They are specifically interested in seeing what plays out with Tia, Colton, Krystal, Jordan, and Joe. According to the spoiler blogger, Jacqueline and Kenny were spotted out together. Colton Underwood and Tia Booth are reportedly heading to Mexico where they’ll rekindle their romance on Bachelor in Paradise. 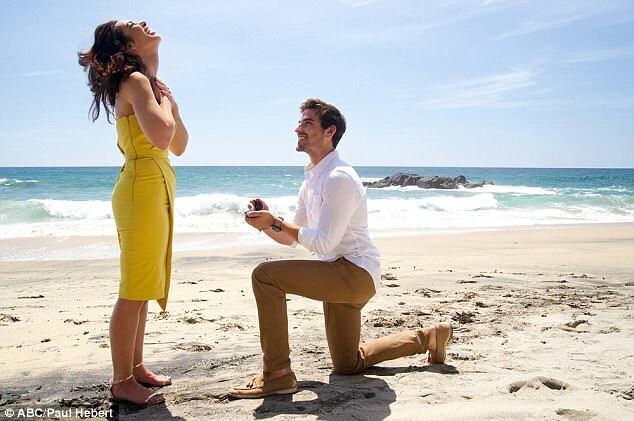 Ashley Iaconetti and Jared Haibon got engaged on June 17, 2018, while the pair were in Mexico filming Bachelor in Paradise Season five. A source dished, ‘Ashley and Jared are both so excited about the engagement.’ They’re both thrilled though!’ Their engagement will likely be featured in season five of Bachelor in Paradise. If You Are A Big Fan Of Pixar These 10 Hilarious Tweets Will Make You Laugh Crazy!